It all started in 2015 when 3 girls got together to plan an event that would raise money for a cause that was near and dear to their hearts. Two of their children had been diagnosed, one with Crohn’s Disease and the other with Colitis, a debilitating disease without a cure. So Tamson Zucker, Carol Leone and Diane Celia decided to give back to the Crohn’s and Colitis Foundation of America (CCFA) and contribute to the fight for a cure for each of these illnesses, and to improve the quality of life of children and adults affected by them. 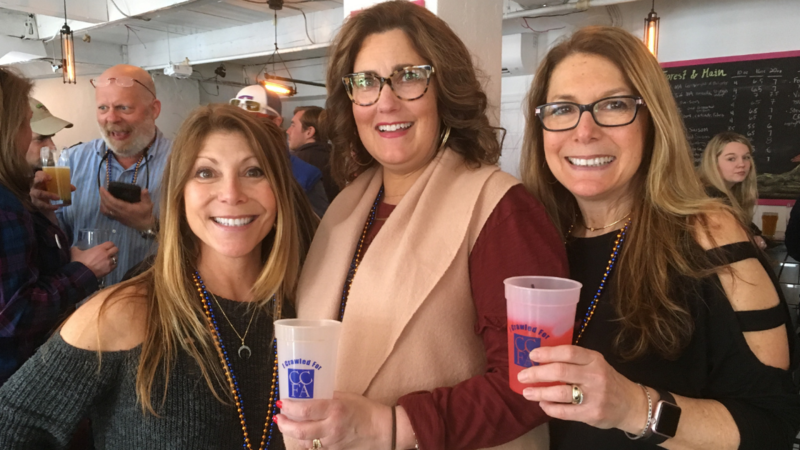 Even though none of them had ever planned a charity event, Tamson, Carol and Diane dove in the 1st Annual Ambler Pub Crawl for Crohns and Colitis was born. The first Crawl for Crohn’s and Colitis was small, consisting of 40 people and a few raffles. $1000 was raised, 100% of which went to the Crohn’s and Colitis Foundation of America. After three growing and successful Crawls ( last year’s crawl raised over 5K), the 4th Annual Pub Crawl is set for Saturday, April 6th from 12-5:00pm. Registration begins @ 11:30 at The Lucky Well. See all event details here. Our number one goal is to raise awareness and money for this debilitating disease…who says you cant have fun while doing something so important? Many thanks to all the participating restaurants, the Ambler community and to all of our friends and family for attending and contributing to our success. 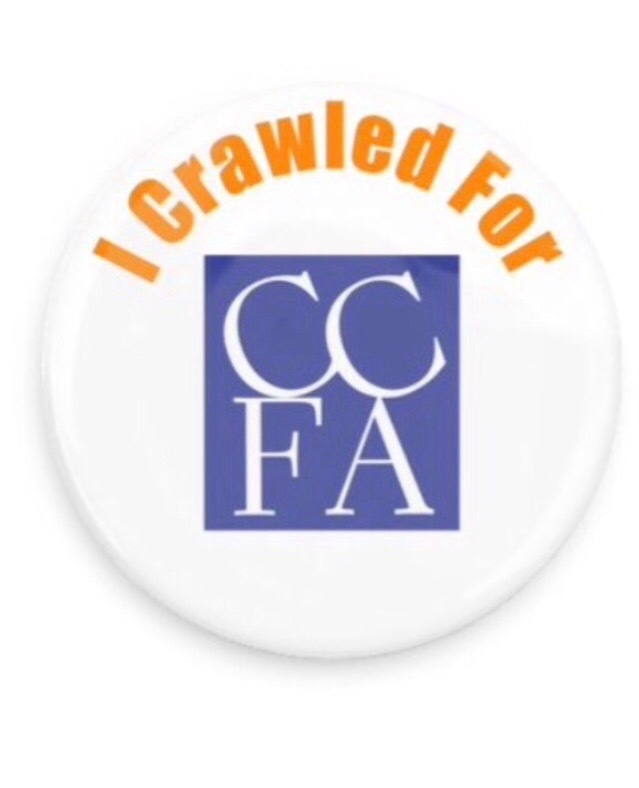 “I crawled for CCFA” . There are six great Ambler restaurants participating with food & drink specials throughout the day. The event will end at The Lucky Well with a DJ, raffles & baskets. Some of the many prizes you can win are, a Samsung 50 inch smart flat screen TV, a Louis Vuitton Key Pouch and lots of Gift Cards & baskets donated by local shops & restaurants. The Lucky Well, who will generously donate 15% of “The Cure” profits to CCFA.